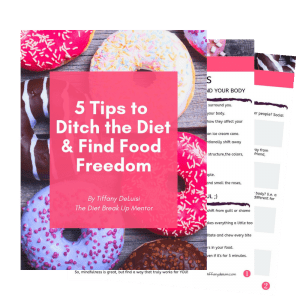 When I was dieting, meal planning was really another name for “dieting rules.” For intuitive eating, it’s not the same thing. Meal planing can become a way to save time and money when cooking for ourselves and our family. 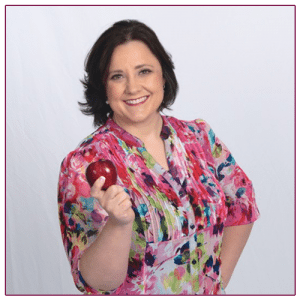 How can you meal plan while intuitive eating? How can you plan for what your body will want in the moment? Well, if your life is anything like mine then you do not have the time, money, or energy to prepare the exact meal or snack that you want at each moment you want it. 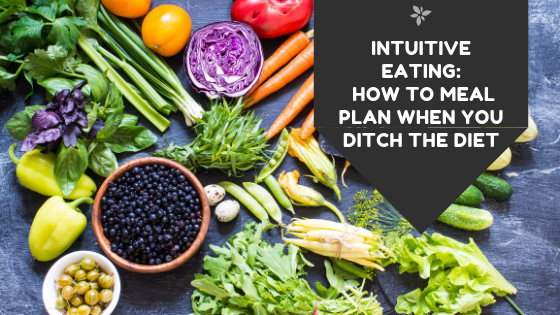 As I’ve grown as an intuitive eater, I was surprised to find that the structure of meal planning actually helps me live in a way that is more aligned with my values by freeing up more of my time, money, and mental space. I don’t want my budget and schedule to revolve around my food choices, and meal planning allows me to fit food in with the rest of my life. I find it useful to have some thoughtful planning around the meals I choose to eat throughout the week. Contrary to my initial worries, this structure feels like an intentional choice on my end instead of a forced and rigid way to control my food. It allows me to have a better sense of self by giving me more time, money, and energy for various areas of my life that I enjoy. It also helps me feel more embodied at mealtime since I don’t spend most of my time before meals feeling consumed with putting together a meal with what ingredients I have on hand. If you want to give meal planning a try, keep in mind that you decide how much you want to incorporate meal planning into your life. It is not an all-or-nothing commitment. It can be a flexible commitment that you experiment with to determine how it may best serve you and your loved ones. Some people find it helpful to plan for a full week or so in advance. I like to plan for Monday-Friday. Keeping a little spontaneity in my food choices for the weekend helps me have the balance that feels good for my body. Don’t forget to have compassion when you start meal planning. If you don’t stick to your meal plan, so what?! Give yourself permission to embrace it with trial and error. The road bumps are an important part of the process. If you give it time and it still does not work, that is okay. Remember that we all have different bodies, minds, and needs. Eating intuitively means giving yourself permission to explore how food fits for your life. #1. If you find yourself questioning where to begin, I suggest starting with your kitchen. Work with what ingredients you have on hand. Take a deep breath as you peruse your pantry or freezer without judgment. As you decide which ingredients to start with, approach the planning process with curiosity. #2. Don’t let meal planning become a rule that gets in the way of your life. If you have the chance for an impromptu dinner with friends, take it! Meal planning should fit around your life (not the other way around). #3. Keep alternative convenient meal options around. Sometimes life happens and you don’t have the time, energy, or desire to prepare the meal you planned. Having a backup plan can make you ready for the unexpected. #4. Don’t underestimate the power of kitchen shortcuts. I love my instant pot, frozen chopped veggies, and garlic press. #5. Each meal doesn’t have to be a masterpiece. Social media can create an added pressure to make each meal fancy and perfectly plated. Creating space for frozen meals and peanut butter and jelly sandwiches are definitely a part of my meal planning rotation. Which of these tips did you find most useful? I’d love to hear. Comment below and let me know.